Bulls, which can weigh up to 2,000 pounds, don't like a 200-pound human telling them what to do. Bulls have a more aggressive temperament thanks to all those hormones that make them highly motivated around the right female. Plus, these animals, which can weigh up to 2,000 pounds, don’t like a 200-pound human telling them what to do. A nose ring can be a helpful tool for working with bulls. They can be a permanent piece pierced through the nose by a veterinarian, or farmers can use a less invasive option that simply clips on the nose (think your grandmother’s old clip-on earrings), like the one pictured. The animal’s nose is sensitive, so when a handler tugs on a rope attached to the ring, even a clip-on one, it will get the animal’s attention. 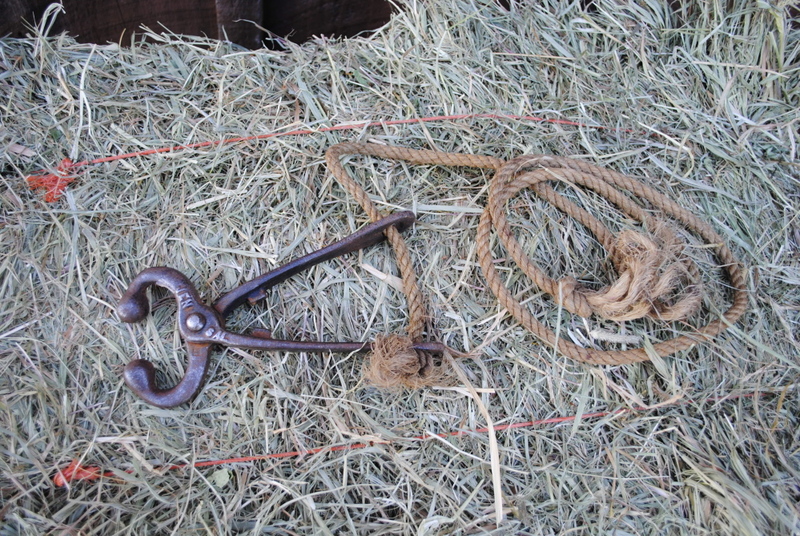 Typically a nose ring is attached to a lead rope, and the animal also would wear a halter around the its head. Many bulls seen at agricultural fairs have been handled regularly by their owners, so they have a more compliant temperament. But using nose rings offers an additional measure of control when handling these large animals in public fairgrounds or on the farm.